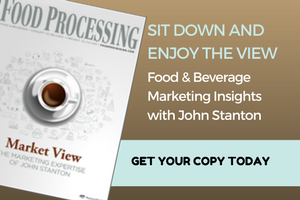 Market View: Is Private Label Your Real Competition? Home / Articles / 2018 / Market View: Is Private Label Your Real Competition? Marketers and product developers should create different strategies for the different levels of store brands. Many years ago, I was on a committee to discuss future issues for a large cola company from Atlanta (which shall remain anonymous). One of the issues discussed was private label colas. At the time they were taking a little share from the branded products. I suggested why not make the private label product? There was total silence in the room and everyone was staring at me. Finally, someone said, "We will not discuss that!" At the time, I thought it was a “head in the sand” approach. Today I am sure it was a “head in the sand approach.” Don’t get me wrong, I am not advocating for the cola company to make private label product, I am advocating that they should be discussing it and looking at all the positives and negatives. Now that was quite a few years ago and things might be very different today at the company. Food companies must understand that private label is no longer a cheap brand alternative. In some cases, it is the consumer’s first choice “brand.” If one looks just at growth, store brand sales in the U.S. reached $118.4 billion in 2015, an all-time record. That was an increase of $2.2 billion over the previous year. In just the past two years, annual sales of store brands have increased 5 percent, or $5.4 billion, in the combined channels. Store brand dollar share came in at 17.7 percent, also the highest mark ever. In 2016, both private label sales and national brands had about the same growth rate of 2 percent. The growth isn’t just in supermarkets; other channels are becoming more store brand-aware. As for drug chains, store brand dollar sales rose nearly a percentage point to $8.4 billion, while national brands fell about a point. Until recently, private label has not made major inroads into the C-store market. In fact, in 2010, SymphonyIRI Group data showed that private label’s share of dollar sales was significantly lower in convenience stores: only 4.8 percent (and that was up from 1.5 percent in 2007), compared to 16 percent of drug store dollar sales and a nearly 21 percent share of supermarket dollar sales. However private label has grown consistently in convenience stores as they have recognized the opportunity. During the economic recession, as shoppers cut back and altered their shopping behaviors, they frequently turned to private brands as a value alternative. Consumers held onto that preference because product quality in many cases is virtually indistinguishable between national brands and private label—and they often come from the same source. Get ready for a big change in private label as Amazon becomes even more aware of the value of private label as it gets more education from Whole Foods. The Amazon brand is so strong that an Amazon private label product, either 365 or another name, will have a disruptive impact on the market. And while they're not exactly “private label,” subscription meal programs like Blue Apron are not using branded products. Keep in mind that Blue Apron had about $1 billion in sales last year. Brands were important to consumers because branded products offered consumers something others did not offer: trust. When you bought a branded product, you had confidence that you would get what you expected. Today, however, private label products give that same level of trust. Do you think most consumers trust Hormel more than Kirkland? The trust consumers are putting in some store brands such as Wegman’s, Publix, Costco, etc., is the same as the legendary great national brands. Treat private label like the brand it is. So many sales reports I see have all the national/regional brands and then one line for private label. Do you really think that Wegman’s premium private label is the same as Aldi's private label? Do you think that Whole Foods' private label (now part of Amazon) will only compete with Costco’s Kirkland? You most likely have a different strategy for different competitors, so why have the same strategy for a monolithic private label when they may be more different than some national brands? Develop a blended strategy when dealing with a retailer with strong private label products. Make your branded product complementary or at least not a head-to-head competitor with the retailer’s brand. One producer I am aware of offered to make the private label product at a lower price than the competition IF the retailer provided additional shelf space (from other branded companies). Recognize that private label has various levels from premium private label to value private label. Make sure your strategy is focused not just on "private label" but on the specific type/brand of private label. There was a time when private label was not really even a competitor, but today it can be your main competitor! Developing own brands, searching for contract manufacturers.